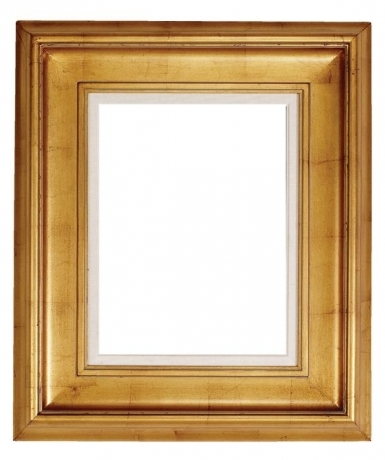 The Kazmir gold frame has a broken leaf scoop design with red undertones and antique gold finish, linen liner. Frame width 6.25". This frame is also available in custom sizes as a cut and join frame.